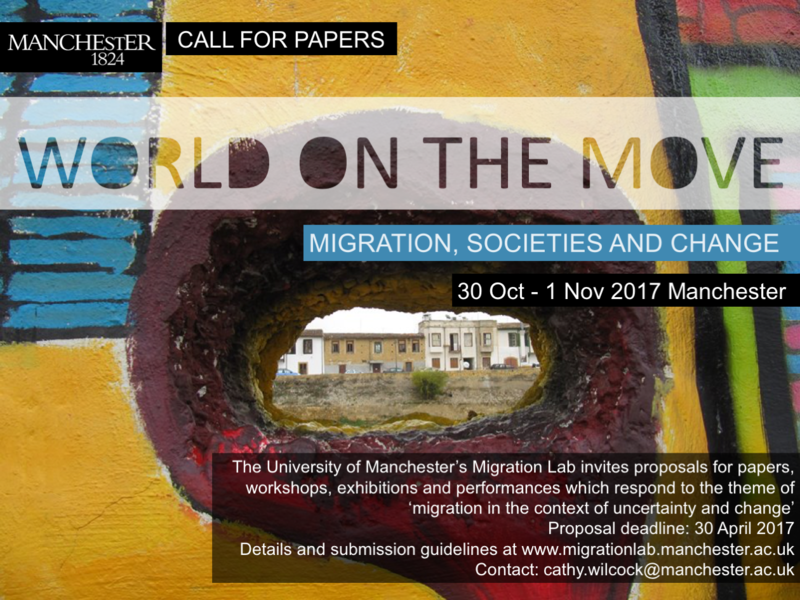 The University of Manchester’s Migration Lab invites proposals for papers, workshops, exhibitions and performances which respond to the theme of ‘migration in the context of uncertainty and change’. For submission guidelines and information please visit the Migration Lab website. The conference will provide an arena for discussion, debate, and the development of future research projects. Plenary sessions from world-leading migration researchers, panels, and workshops will create spaces for the development of sustainable networks and relationships across the academic, policy, not-for-profit and media sectors. The first day will be a half day policy and politics event where distinguished speakers from policy, activist, NGO and media backgrounds will debate the question ‘How is Brexit Britain responding to a world on the move?’.